If you have small children in your household, then perhaps your bedside tables and bathroom shelves find themselves in a similar situation to my own: buried under piles of parenting magazines. The glossy guides started trickling in when S was still in utero. Euphoric from some hormonal high, my pregnant self signed up for all the free baby magazines that Babies.R.Us had to offer. And go figure, in this age of “we’ll never sell your personal information to any other company – honest!”, two magazines turned to four, four turned to eight – you get the picture. Every month a new round of beaming babies and well-coiffed parents appear at our doorstep, promising us brilliant brain development and restful nights for the whole family. Now granted: no longer a brand-new mother, I have come to read these issues with a slightly more critical eye. I finally figured out that the “gift guides” they suggest just happen to showcase products that are coincidentally featured on the ad on the facing page. And I realized that if I read every article about what to feed or not feed my child based on the latest studies, I would only offer organic steamed broccoli wrapped in kale every other Tuesday. We would all hate our lives. And all those “quick guides to squeeze in your tummy-toning workout in 10 minutes or less”? I no longer even pretend to read them. Yet I still faithfully leaf through most magazines, while I dry my hair in the morning or sneak a few precious moments to myself. (No one needs to know what mama is doing in the bathroom.) I welcome a little education on parenting, and I have no time to read entire books on the subject. So every month I dog-ear a few recipes to try, some creative play ideas to file away. I’ll admit that I have learned some valuable lessons from these mags: tips for helping baby sleep through the night, reasonable advice on discipline, eye-opening perspectives on parenting. But sometimes the best thing these magazines offer me is a good laugh. Are you kidding me? (Pun intended.) That is both hysterical and true. I focus so much of my parenting time and energy on my child without considering the reality that most of the learning and the growth has to take place within me before I can ever hope to influence him. It’s not called kidding for a reason. The process of learning how to live, love and grow as a family must start with us as parents. Only then can it change our children. And perhaps, the world outside our door as well. I find it ironic that it took one small quote in one article to make me realize that all of these parenting magazines should really be about precisely that: parents and how we raise our children. But the focus can quickly become kids-kids-kids: a temptation for advertisers to exploit and a trap for well-meaning parents to fall into. Until we take care of ourselves, step back to understand our reactions to a situation, and reflect on how we can respond to create the kind of family life we want for our children, then we’re only kidding. Parenting is about parents. A simple but provocative thought for my week. If I only react and respond, I can fall into the trap of kidding. But if I calm and center myself, create the space to act as the kind of mother I want to be, then I can better engage the work of parenting. Now, if you’ll excuse me, I have to go take a quiz to determine exactly what kind of stroller fits our family’s lifestyle. 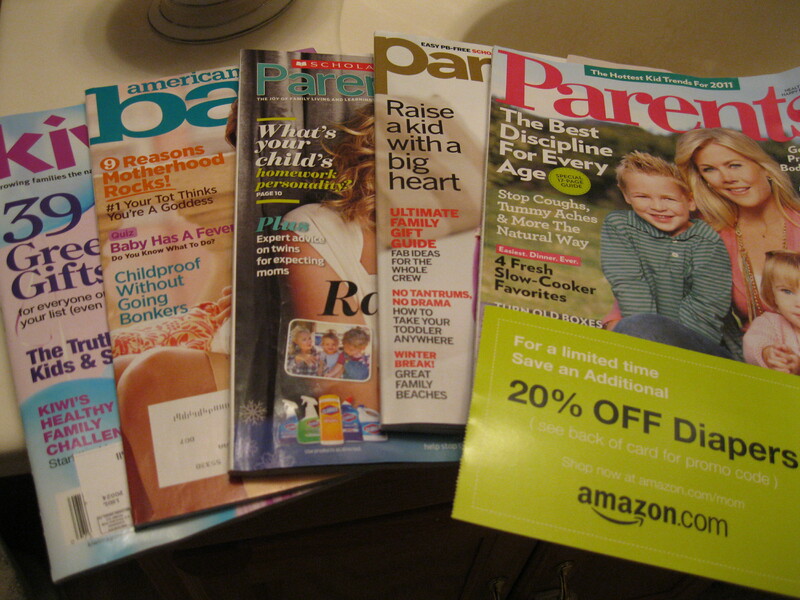 How about you: Do you read parenting magazines? Do you find that they help you as a parent? Have they ever given you any memorable advice?